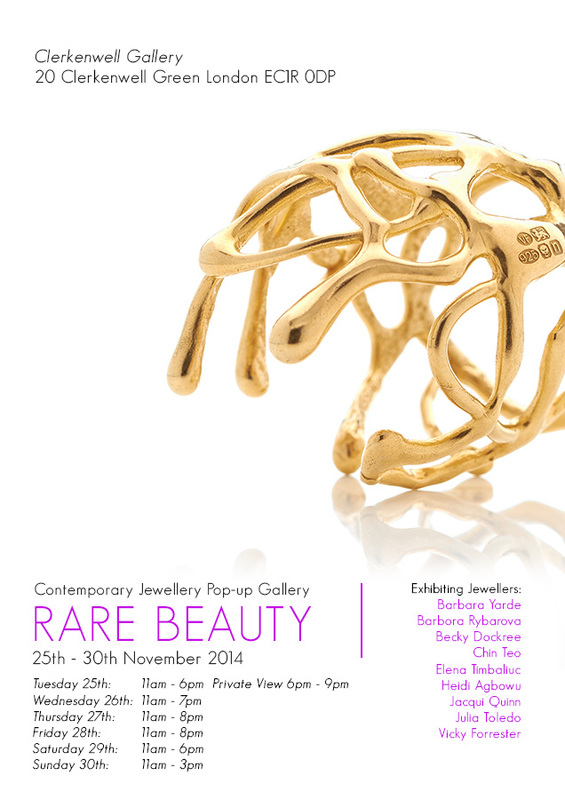 I wanted to let you know about some upcoming exhibitions where I will be showing and selling my jewellery. Camberwell and Clerkenwell provide venues in the next weeks for the shows. Please find more info below. Private views Tuesday 25 November and Thursday 27 November. It would be lovely to catch up! You are cordially invited to a Private Viewing of inspirational jewellery by the designers and makers of Flux Studios. Join us for mulled wine and Christmas cheer. Find perfect gifts for your loved ones – jewellery and silverware, gift vouchers, jewellery making experiences. Or commission a unique piece of jewellery from your favourite Flux jeweller! You’ll also find many of London’s best love artists and makers showing and selling their work in magical Vanguard Court this weekend. With so much to see you can be sure to enjoy your visit this winter Ceramics -Silverware – Sculpture – Painting – Print – Textiles – Millinery – Homeware – Wood – Architecture and Design…. well worth a visit! By popular demand, the Flux Studios collective brings an exciting new fusion of unique hand made designer-jewellery to East London. Building on the success of preceding pop-up-shop incarnations, Rare Beauty 4 proudly manifests this November at the independent Clerkenwell Gallery. Copyright © 2014 Vicky Forrester, All rights reserved.